Have you been dreaming of picking up an HTC EVO 4G the day it comes out sometime in June (I have) but are currently using another carrier, and maybe even stuck in a contract with them? Or may you've wanted to switch to Sprint because of their amazing Anymobile Anytime plans that offer unlimited minutes to any carrier's mobile numbers - not just Sprint (yeah, my last bill was 6 anytime minutes)? It has come to our attention that the website mentioned here is not clearly owned by Sprint or referenced from Sprint.com. It uses a Sprint skin but is not registered by Sprint, nor does it contain any information besides the credit request page. We have been in touch with Sprint Biz Sales and it looks like this page was meant to be a sales tool to help business telesales close their deals. According to what we were able to find out, these credits are given to customers who have a prior approval from Sprint B2B (business to business) sales agents, although there have been cases of individual customers getting their credits as well. The site is relatively new and unpublished, so as non-business customers begin to find out about it, things may start changing. More info will be posted as soon as we have it. 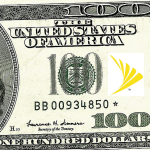 I wanted to do a public service announcement (PSA) today and remind everyone that Sprint offers a $100 port credit if you sign a 2 year agreement and port your number from another carrier. Not bad, isn't it? Even if you are stuck in a contract, perhaps breaking it would now not be as big of a deal, and if your cancellation fees are prorated, you might even still come out on top. 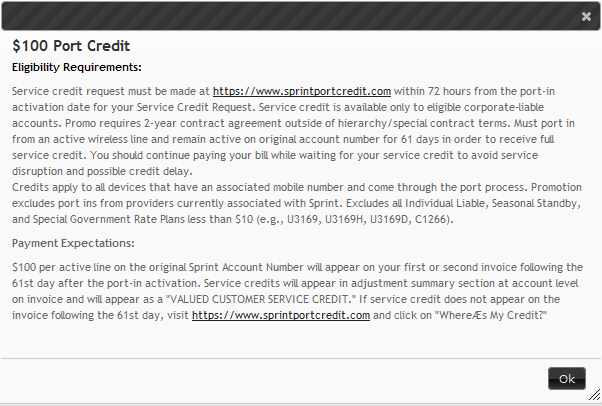 Now remember: this credit is not automatic, so don't forget to head to SprintPortCredit.com to start the port process. In order to be eligible, you have to start the credit request within 72 hours of the port-in activation date. Is this credit going to affect your decision to switch to Sprint? If you were undecided before, is it going to push you over the line? Those lonely comment fields below are just begging to be filled in.